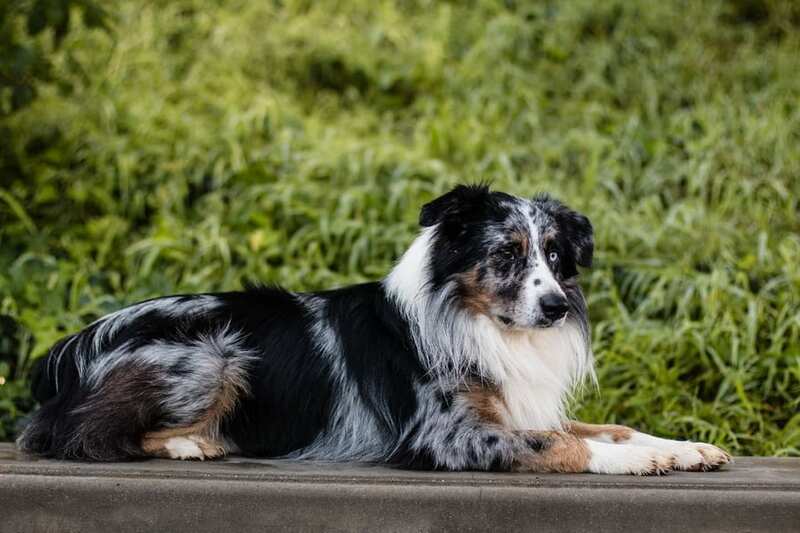 This is a basic guide to grooming the Australian Shepherd with a minimal number of tools. At the end, we offer some tips on grooming with more professional tools. 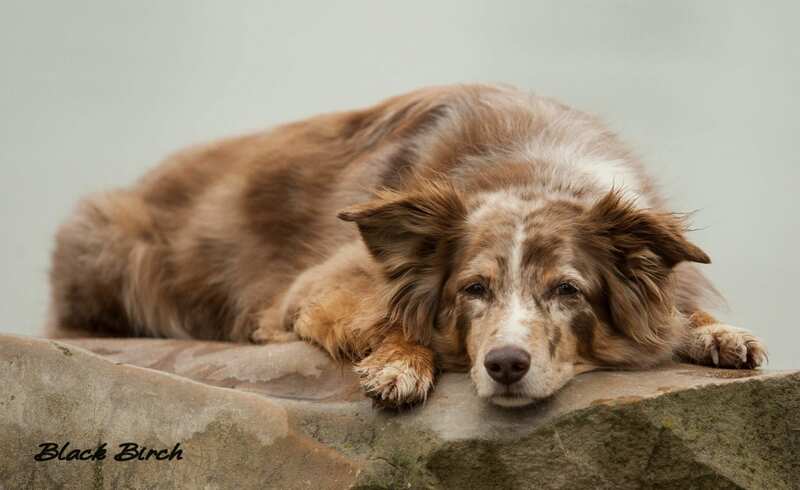 These basic tips can be done easily by anyone to keep your Australian Shepherd not only looking great but also cool in the summer and warm in the winter. Some opt to have their dogs shaved instead. 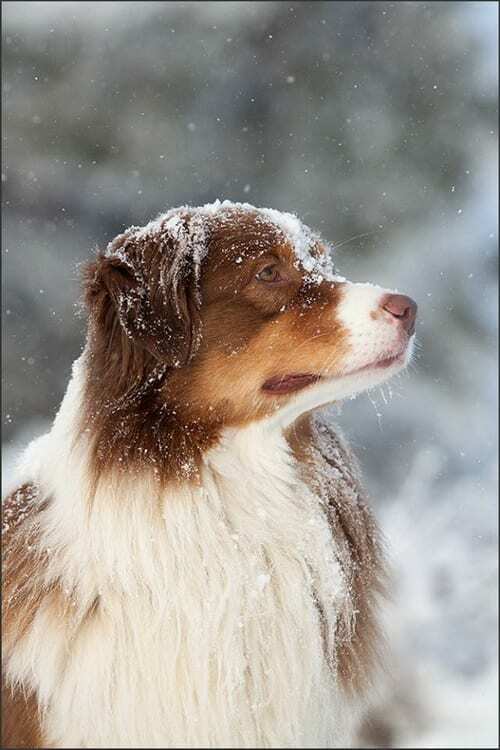 Keep in mind that shaving a double coated breed does NOT reduce shedding, it only sheds smaller hairs. It also may or may not grow back normally and completely removes the coats ability to insulate the dog from heat or cold. Brushing your dog can easily be done with a good slicker brush and a long tooth undercoat rake. Using the brush first, brush with the direction of the coat. Gently use the undercoat to check to be sure the coat is well brushed down to the skin. Where you find tangles or resistance for the rake due to undercoat, work on those areas further with the brush. The undercoat rake should be used to get into the coat then comb slightly outward from the body rather than scraping it across the skin. Keeping your dog brushed out is the single most important thing you can do to maintain a healthy skin and coat. It also allows you to regularly check for parasites and treat quickly. There really isn’t much trimming needed to maintain a beautiful coat for your Australian Shepherd. I would recommend a good pair of thinning shears (I prefer 42-46 teeth) over regular shears as they are more forgiving and leave a more natural look. To trim the feet, gently brush from toes toward the leg with a slicker brush then with your shears, trim the hair that sticks out above the foot. Follow by trimming the longer hairs around the foot and even the pads. (for pads, I prefer using clippers but if using shears, be very careful not to cut the pads of the foot. Using your shears trim a straight line across the end of the tail, only trimming the excess length to neaten. Brush the coat on the ear to one side and trim about ¼” from edge then brush to the other side doing the same. Now, brush upward and gently trim excess to blend with the head. Ears in particular are best done with thinning shears. Be sure to clean ears regularly, especially after bathing or swimming. Ear cleaner labeled for dogs on a cotton ball and use to gently wipe out the ear is all you need. While the legs can and often are left natural, many people choose to trim the fringe on the front legs. To trim the front legs, pull the leg out in front of the dog and level with the ground and carefully trim about 1/3 – ½ of the fringe, then let go, brush again and neaten up from a natural position. Hocks. Hocks should be left long but can be neatened with shears. If you wish to shorten your dogs britches (the long coat along the rump of the dog), do so following the natural curve of a normal coat. Sadly, over half my large client base of Aussies in my salon came to me after they took their dog to a “groomer” who chose not to follow the natural lines of the coat in the britches. 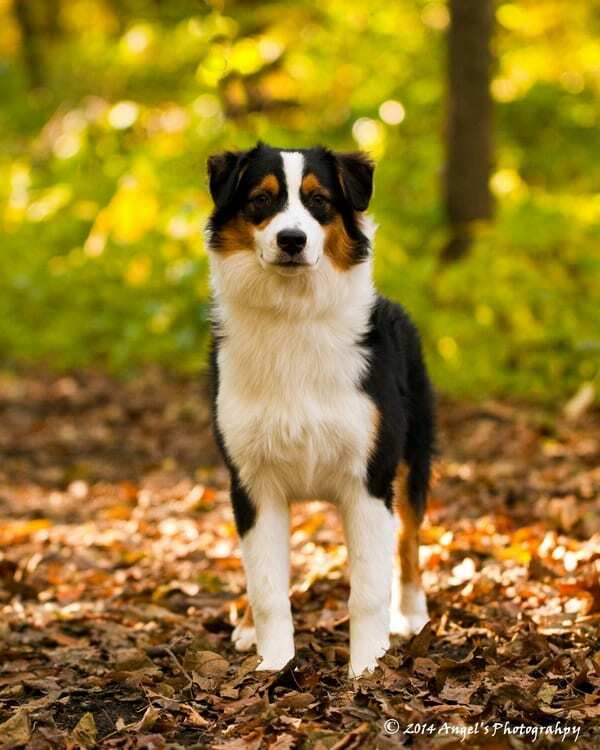 Having access to a high velocity dryer can save you tons of time and work maintaining an Aussie coat. Course HOW you use the dryer can be the difference between saving you time or increasing your time. When using a HV dryer, the most important key is to pay attention to direction and distance. You want to blow the coat in the direction you wish it to lay and you want to hold the end as close to the body as you can WITHOUT CAUSING THE ENDS OF THE COAT TO WHIP AROUND AND CURL UP. You also want to move slowly, working approx. a 6” X 6” area until dead coat is blown out and the area is dry. Rapidy moving the dryer back and forth around the entire body will often increase the time needed. Drying the coat without properly either brushing or blowing out the undercoat causes the undercoat and any tangled dead hair to shrink and makes matts tighter and more difficult to remove. It also causes the coat to lie in curls or waves which are not as effective in sloughing off debris picked up. If you don’t have the time to devote to weekly maintain your dogs coat, or don’t have the tools needed there are a few options for you. You can find a do it yourself dog wash salon where you can take your dog in, use their equipment to bathe, dry and groom your dog (though few will offer you shears or clippers, they do usually provide brushes and combs). The advantage to these is you get to leave the mess of bathing behind and most offer tubs at a comfortable height to bathe in rather than bending over your tub at home. If you don’t want to do it yourself, either at home or at a self serve salon, a professional groomer is a good option. Find a groomer you are confident is knowledgeable about the breed. 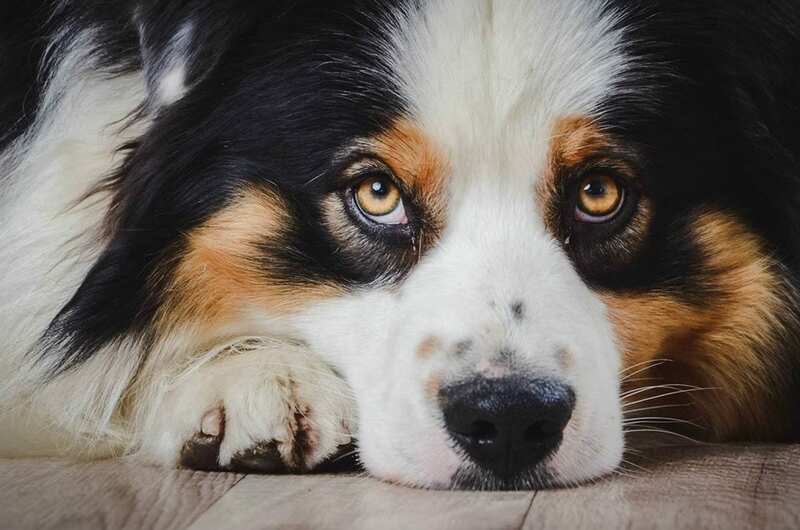 Professionally groomed Aussies should easily be able to be maintained with only monthly grooming, even if you choose to never brush your dog between grooming.